When a couple purchased a piece of land on the edge of San Antonio they wanted a house that took advantage of the panoramic views offered by its hilltop location. We worked with the owners to develop a design that did just that. Through the strategic placement of windows we crafted a home that offered expansive views of the outside world while at the same time providing a private refuge from it. 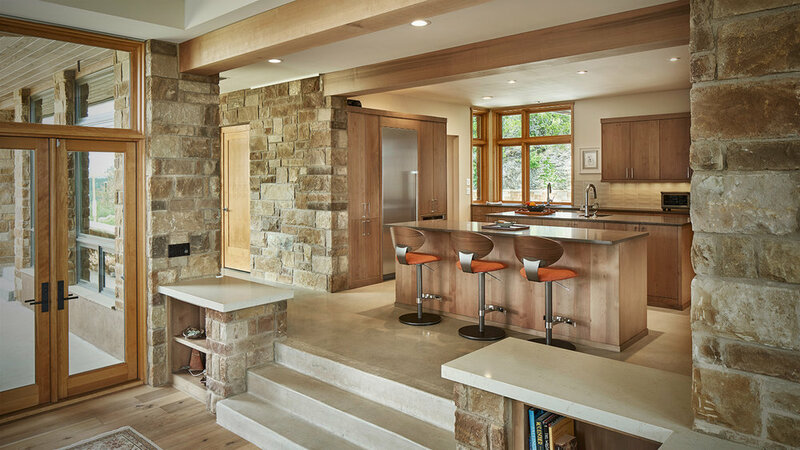 By using a combination of natural wood and stone we created an addition to the hilltop that feels like a natural extension of it. "HiWorks made the process of designing our home fun. They always valued our input, and we were immediately impressed with their range of ideas. We ended up with exactly what we wanted."